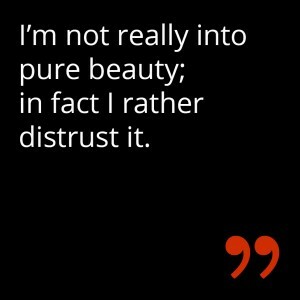 I’m not really into pure beauty; in fact I rather distrust it. ‘Ecce Homo’. According to John’s Gospel this is what Pilate said to the mob who wanted to see Jesus crucified. Are you a kind of Pilate who confronts the public? ‘No, I’m not, and I do actually think Pilate meant it cynically. As in: “Behold the king!”, while Jesus stood there, tortured and nearly naked, exposed in all his vulnerability. It’s that vulnerability that I want to suggest with the naked child, and the beauty. Death does not mean a lot to me; suffering means more’. ‘Ecce Homo’, the 3D holographic installation with the image of the naked baby hanging upside down with his arms extended, immediately reminded me of Aylan, the three-year-old boy whose body was washed up on the beach in the Turkish resort of Bodrum and whose picture went all over the globe. ‘I’ve now heard that often, but my images were made long before that happened. The context in which you live determines how you look at things. I am not directly concerned with the past or the future. We live in the present, but life is not about ourselves. It’s all about existing as a person in a community. Fellow human beings together. If you look at what the picture of the boy evokes, it is a reaction of being connected with each other. Every now and then that’s illuminated’. Your work evokes tender feelings, but it is also highly confrontational. Does a conscious intention to shock or seduce play a role or is it more about realizing what comes to you and asks to be made and freeing yourself from your position as a hostage? ‘Although I often see the images quite sharply before me, a certain hesitation is my touchstone in the creative process, even if it’s just for a second. Call it an optimal tension between transcendence and immanence, beauty and ugliness, vulnerability and strength. It’s a very intuitive process. It’s all about timing: colour and grey tones, contrast, the position of the body, frame, light, the speed of the image, sound, and so on. Recording and editing are a precision job. Understanding it all depends on the openness and sensitivity of the visitor. Moreover, the artwork is also bigger than the artist and goes its own way’. The awareness, or rather the sense of the transcendental level in your work, the mysticism, is that what actually drives human life? ‘If you’re not careful, a simple focus on mysticism leads you away from the world, from people. 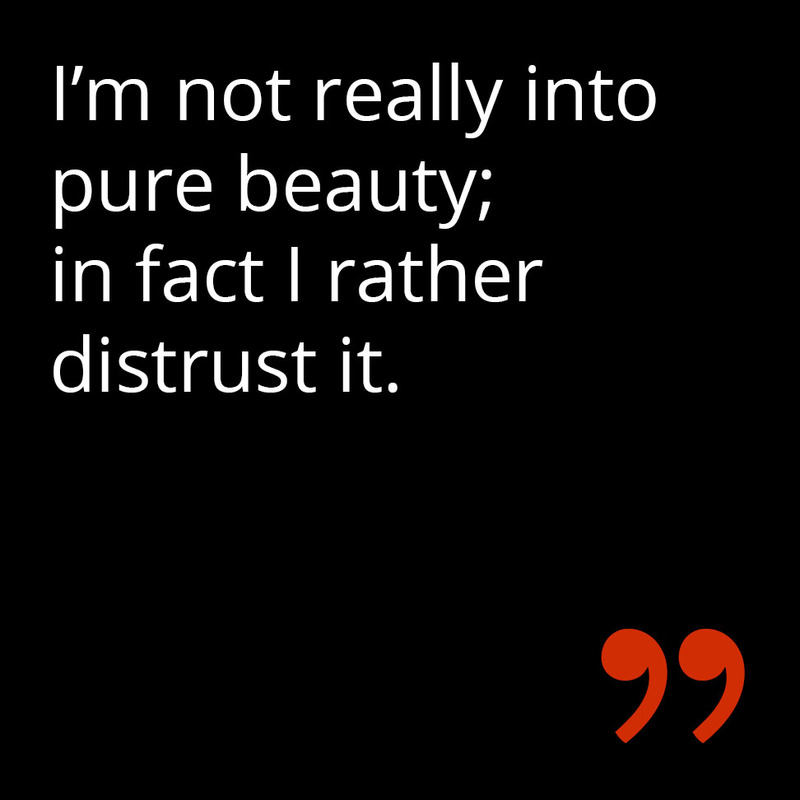 I’m not really into pure beauty, aesthetics; in fact I rather distrust it. It can be all too easily enlarge the ego centre instead of removing you from it. If something mystical has “body” then it is in the relationship. Or, as Levinas wrote: “The other is my pneuma”. The only thing that makes life worthwhile is sincere attention and responsibility for each other and, yes, it is there that a mystical experience can occur’. Is that why your work looks so simple, so pure?